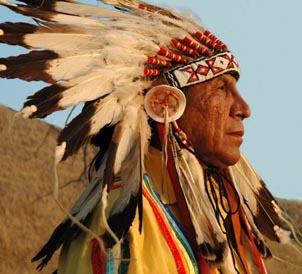 Chief Arvol Looking Horse Speaks Out! By All Nations Indigenous Native American Indian Cultural Center. "Should be a spiritual event, not a 'For Profit Event' - held by a Native American!" By All Nations Indigenous Native American Indian Cultural Center. Every word should be read & taken to heart. Life is not about following the white man and his $'s & his false knowledge. "How many things are wrong here? Well first this traditional Native American event is truly a spiritual event, not a �For Profit Event�. Second, the true event is held by a person of native indian descent who have knowledge and understandings of the nature of the spiritual journey. It appears that once again greed interfered with common sense. Why would anyone pay these outrages fees to be conducted by someone who doesn�t even know or understand the spiritual meaning or significance?" "Sweat lodges are not games to be played with by people that do not have the understanding of their use in spiritual journeys, quests or healing." "Our ceremonies are about life and healing, from the time this ancient ceremonial rite was given to our people, never has death been a part of our inikag�a (life within) when conducted properly. Today the rite is interpreted as a sweat lodge, it is much more than that. So the term does not fit our real meaning of purification." "When you do ceremony - you can not have money on your mind. We deal with the pure sincere energy to create healing that comes from everyone in that circle of ceremony. The heart and mind must be connected. When you involve money, it changes the energy of healing. The person wants to get what they paid for; the Spirit Grandfathers will not be there, our way of life is now being exploited! You do more damage than good. No� mention� of monetary energy should exist in healing, not even with a can of love donations. When that energy exists, they will not even come. Only after the ceremony, between the person that is being healed and the Intercessor who has helped connect with the Great Spirit, the energy of money can be given out of appreciation. That exchange of energy is from the heart; it is private and does not involve the Grandfathers! Whatever gift of appreciation the person who received the help, can now give the Intercessor whatever they feel their healing is worth." "Because these atrocities are being mocked and practiced all over the world, there was even a film we made called �Spirits for Sale�. The non-native people have a right to seek help from our �First Nation Intercessors� for good health and well-being, it is up to that Intercessor. That is a privilege for all People that we gift for being able to have good health and understand that their protocol is to have respect and appreciate what we have to share. The First Nations Intercessor has to earn that right to our ceremonial way of life in the ways I have explained." If James Arthur Ray had only viewed the above listed, "SPIRITS FOR SALE" before accepting all that $$$$$$$ to let people die in the name of spiritual cleansing. The Indians of this country should be the only ones to partake of this sacred and time honored spiritual event. (Unless someone else is invited by their community). Respect the Indian traditions and sacredness of what it means to the Indian, and not for a man to make money in such a greedy and callous manner. What right does this man have in making untold millions in doing this? Very disturbing to me. I go to Pow-wows, and respect all tribes for who they are, and what they represent. We owe THEM our respect, and honor for who THEY are! TY, Peace for this. Very important post ! Thanks, Peace ! It would seem not...Money has become more important than life, to hell with the indigenous people, the poor, the impoverished, they do not have the money 'we' so greedily want, so 'we' don't care!? Time to stop the rot?...But HOW? Seems like there's a LOT of fools who would want to come to AZ to sit in a "sweat lodge". I would call them a "sweat tent". there are so many other ceremonials or rituals that could be celebrated....none of them that should cost anyone $9,000 a pop! Money is filling the pockets again of the white man, while our peaceful, loving Native Americans, and anyone with religious ceremonies concentrate on the great spirits of their ancestors. If Sedona has become the center of NEW AGE because of a vortex, then that poor vortex should cease to even be working! As I've said before, the beauty & spirit of Sedona has been turned into a circus of tourists. Stop wasting your $9,000.00 on phoney hoaxes & con-men and offer the Native Americans it for some dinner for their tables, or healthcare for their poor health conditions! Thank you for the post. I have many friens here in NY who are Native Americans and I know how important this ceremony is to them. There are peoples of other races invited to a Sweat Lodge ceremony but it is considered a great honor and priveledge to receive such an invitation. James Arthur Ray was just a con man much the same as the other whackos who lure the idiots into their "religions". As people become more terrified of the world they search out all the charlatans who can promise them something they can never deliver. When I stopped pretending to be christian, and started practicing pagan/wiccan beliefs, i never felt right 'co opting' American Indian beliefs or ritual. The only thing I do without too much twinging of guilt is smudge, and that not very often. If I had an American Indian friend who invited me to participate in a ritual or ceremony, I would gladly go, but to simply decide that I'm going to take those rituals and ceremonies for my own is repugnant to me. This article shows just how greedy and wrong-headed so many people are. Thanks for reminding me of this one,Peace. The first question that came to my mind was, what would happen if the white man thought a group or culture was mocking their beliefs? I think we all know what would happen because history speaks for itself. The white man would attack and destroy as they have always done. White man needs to stick to their Christian beliefs and Gods and leave other cultures that they don't understand alone. Yes, very important post. It's the same reason why I consider most Christian ministers phoney. Christ never collected money. Rather, he accepted food, clothing and shelter in his travels when teaching living principles to the people. It was the politicians and greedy religious leaders who changed the story and promoted capitalism. Man needs to learn we don't mix money with the sacred. It leaves a hole in the soul. Thanks, Peace, for this very important article. I've noted this and passed it on! also the "SWEAT LODGE" identity... and abuses by NON INDIANS. of the "NON INDIAN" and "NON INVESTED IN THE RESPONSIBILITY TO INDIAN LIFE"
as well as "NON DUTIES TO THE SUFFERING OF THE AMERICAN INDIAN"
certain, yes particular people and or "groups"
in a sense to many "ATTEMPTING TO ROB THE AMERICAN INDIAN FURTHER!" is related to the "SWEAT LODGE"
are existing across the USA today... INSULTS and ABUSES of ANGUISHED LIVES! SOME of us, those WITH INTEGRITY CARE. to "...get away with it!" THANK YOU FOR THE WORDS OF THE CHIEF POSTED HERE TODAY. Thank you Kat and how true what the Chief says ! There are no short cuts to spirituality. We cannot buy the important things in life. We cannot lose weight while we sleep, and the full-on pursuit of instant gratification is not a virtue but rather a blight on our society. Condolences to the families, but it would be great if everyone else would treat this as a learning experience. This is no surprise to me. People have been dying and getting hurt on Vision Quests and so called Sweat Lodges run by so called Shamans or non native medicine people for awhile now. These non Natives do not really know what they are doing, they do not respect the power of the Spiritual ways of the Native peoples, and it is immediately evident as soon as they put their hand out for money! My Lakota Grandmother and I had to prevent a Vision Quest from taking place here in Maine that we became aware of, the people did not know what they were doing and the people that were to go out on it were not of good health for the type of Quest they were to undertake. These people get a little information on Native ways and think they have some money making venture or are playing some game, this is serious and Spiritual and they do not treat it so. As Chief Arvol Looking Horse said, you can't be doing it with money on the mind. This is white mans way of thinking and unfortunately too many non Indians who think from that perspective fall right into line in paying out the money. "As they say, a Fool and his money are soon Parted." People beware, just because someone burns some sage, has a drum, knows a few Native words, does not mean they know what they are doing. It is a long and deep Spiritual Walk and the teachings are passed down from those who had it passed down to them so that if done correctly and with the right Heart there are no deaths as was also stated by Chief Arvol Looking Horse. Thins like this make me ashamed of being human. It is a lot like the Hollywood stars who get into the "fun" parts of a religion, but have no compassion for the people or even practice the whole religion. Yes Madonna, I'm talking to you. Sweat lodges are sacred places, and should only be that. I am horrified that someone would do this, but not surprized. Plenty of folks will find fools who want to pay their way to heaven. At the very least all profits should go to the grieving famallies and to Native American groups. He should get life in jail although that seems somehow too good for him. Let's take him into the wild and bury him in a sand pit. Then coat his head with honey and let fire ants loose on him. Oh and Dandelion, I hope you realize that this idiot doesn't represent most non-native Americans who are drawn to true Native American paths. As a witch I've practiced what Native American paths I can find for years, but I'd never do something this stupid. You have to be born into a culture to truly understand it on the level to do something this sacred. I may be passionate about my sage cleansing and Native American wisdom, but do so in a respectful manner. Swaet lodges and visions can be deadly without the right training and shouldn't be entered on a whim. Whatever happened to people asking a wise elder if they should do this? Thanks Kat,for speaking-up for the invisible minority of this country.It takes a life-time to become a medicine man.It is no easy-task,you must memorize all sacred chants and prayers.Nothing is added or taken away during a ceremony.I call them plastic shamens that practice this type of rituals that charge alot of money to perform a ceremony.I think many people are looking for spirituality,I say to them you are born with it,you just need to developed it.If someone charges a fee for a sweatlodge ceremony,run the other way.that is againts natural and spiritual laws.As a full blood Indian,I approve this message. Thannxxx.. agreed, money before safety.. as this has shown... hopefully other illegal sweat lodges will be closed down.. I have personally done many sweat lodges at the Hippie communes in New Mexico back in the 'seventies. The Hippies learned how to do it from the local Indians, who were quite happy to share the knowledge. Of course we never did it for money -- we didn't have any. The object is to make it as hot as you can stand, and then a little hotter. You have to breathe through rolled-up juniper fronds or else the steam will burn your sinuses -- it's that hot. And then you stay in there as long as you can tolerate the heat, and really get cooked. You nearly pass out before running out and jumping into cold water. Do it properly twice in a row and it's a fantastic rush. I would also call it purifying and cleansing. I can see how it could be dangerous for old people with medical problems. That is kind of pushing the limits. I wouldn't recommend that. "The Indians of this country should be the only ones to partake of this sacred and time honored spiritual event." I'm sorry, but I have to strongly disagree there. No one race has a monopoly on spirituality. I'm sure you would be very offended if you heard someone declare that Indians should not be allowed to take communion or participate in Christian ceremonies because they are the wrong race. That said, I also find the way that Vision Quest was running that so-called "sweat lodge" to be disgusting. It was commercialized, which is just plain wrong. The really does kill the spirit of the thing. Spiritual experiences cannot be bought or scheduled. On the physical plane, that tent was much too large. I've never been in a sweat lodge with more than 8 or so people in it. You are all close together in a small teepee or hogan around the central pit with the hot stones in it. The Vision Quest thing looked more like a commercial assembly-line cookery than a sweat lodge. Just packing a bunch of people into a space and heating them up isn't a sweat lodge. What James Ray did was careless and irresponsible. To charge money and capitalize on spirituality is hideous. However, the belief that Native American's are the only people in the world to have the right to claim the sweat lodge as exclusively "theirs" is just as bad and quite selfish. Mr. Looking Horse needs to wake up and stop reaffirming for his people that they own these ceremonies that have been practiced by cultures all over the entire world by people from all walks of life for thousands of years. Seems like everyone's on the take.